There are many varieties of green tea: sencha, matcha, gunpowder, and jasmine, just to name a few. 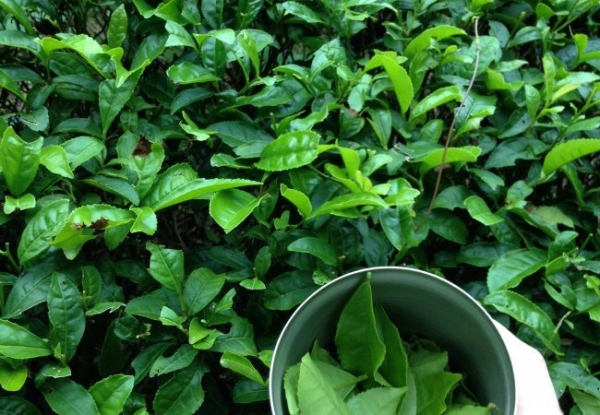 The beauty of green tea lies in its simplicity; every type comes from the same plant, Camellia sinensis, and is only rendered unique by various growing practices and processing methods. Tea has been around for millenia; there is evidence that tea was consumed during the Chinese Han Dynasty in the 2nd century B.C. China still produces much of the world's tea, but tea production has spread to Japan, India, Sri Lanka, Taiwan, Kenya, and many other countries throughout the world, even the United States. However, most of the world's green tea is still produced in East Asia, particularly China and Japan. Sencha is a type of Japanese green tea which is steamed, then rolled into small cylinders. Because it is steamed rather than toasted or pan-fired like some Chinese teas, it retains a grassy, earthy flavor. I visited Japan in 2015, and one of the highlights of the trip was actually getting to visit tea fields, pick my own tea, and dry it over a heated pan. Although most Japanese tea is steamed rather than dried in a pan, it was a once-in-a-lifetime experience to complete the process of tea-making in a country renowned for its tea. Besides being delicious, green tea also has many health benefits. For example, regular consumption of green tea is associate with reduced risk of cardiovascular disease and may be associated with a reduced risk of stroke. Researchers think this is because green tea lowers cholesterol and triglyceride levels. Some researchers also believe that green tea may reduce the risk of cancer due to its polyphenols, which may kill cells that could become cancerous. Finally, green tea may help regulate glucose levels in those with diabetes due to its possible blood sugar lowering affect. Here's to my favorite beverage - tasty, healthy, and versatile. Whether or not it promotes heart health or prevents diabetes, I'll always love sitting down with a cup of hot, comforting, green tea.